Preface – Is SEO for You? If you already are a seasoned SEO, this page is not for you! This tutorial is for people who want to do some SEO (Search Engine Optimization) , but are worried that SEO is too complicated, and they think they need to hire a professional to do this work. Wrong! 1. SEO requires a lot of knowledge, and only professionals should do it. 2. SEO is about doing sleazy work, usually done in poor countries, and is prohibited by Google. Both of these claims are kind of wrong. First, while there are tons of articles and information about SEO, and much of that information could be put to use, most of the benefit of SEO could be gained by very simple tasks, that take only about 5 minutes to learn. In fact, this is exactly the information I’m going to show you here. Second, even though every business owner gets a few emails a week from someone who offers to improve their rankings in Google (usually they’ll say they can put you in first page), and those sometimes involve actions that are very much a scam, like building links from dubious sites. SEO shouldn’t be such a sleazy and illicit process. There are many actions in SEO that are very clean and involve no scam at all. More on that in the next sections. So, please invest a few minutes to read this short SEO tutorial. You’ll find how easy it is to do SEO, and why everyone should do it. Back in 2007, when I started sheerseo.com, I was already ripping success from SEO. I was getting tons of traffic from Google, and felt like I am a wizard of SEO. 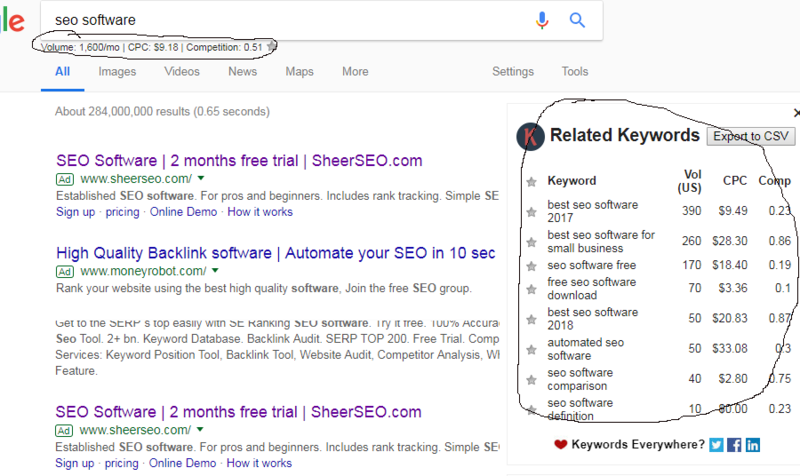 I was aiming to rank sheerseo.com for “SEO monitoring tools”, which just made sense as a high ranked keyword, and there was so much to be done to build the software, that I’ve just didn’t look into it further. One month after the launch of sheerseo.com I couldn’t believe my eyes. I was first in Google for “seo monitoring tools”! BUT, guess what, no traffic. Turns out no one is search for “seo monitoring tools”. So then, did the research, and found out that there is a lot of traffic for “SEO software”. So, the lesson here is, make sure you know what you’re aiming for before you do your SEO. In fact, this is one of the vital steps you should do as part of SEO. This is one example of a simple step in SEO, easy done, and there is nothing wrong with doing it. This is not prohibited by Google nor can be considered spam. Just make sure you find the target keywords, before you start optimizing for those keywords. Now for the actual process. Basically, we need to find information about search volume per keyword, and keyword ideas. 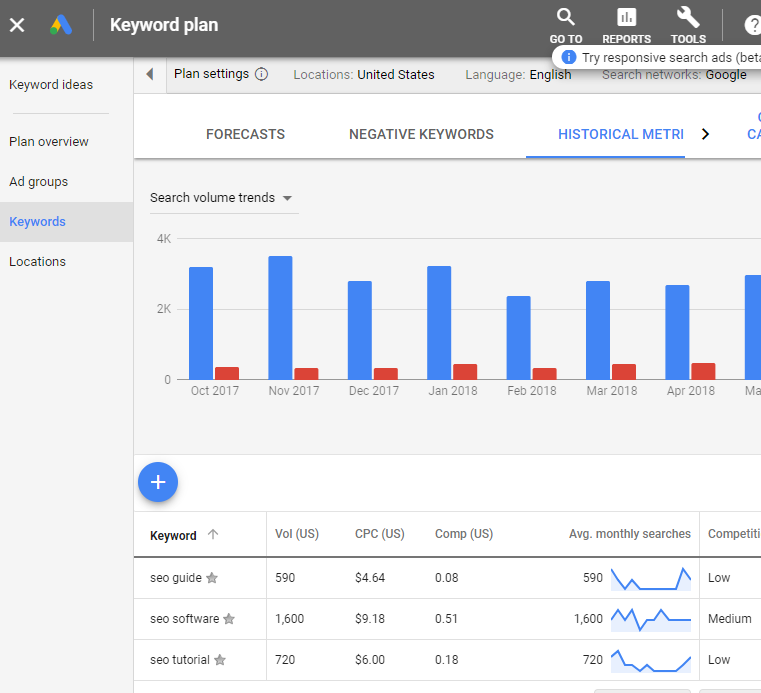 There are several tools for doing it but the most noted one is Google Keyword Planner. They started limiting this data only to people who are paying for ads in Google, but if you can get your hands on this info, it is the best. As you can see, I can see here that “seo software” gets 1600 searches a month, so it gets more traffic than “seo guide”, which gets about 40% of that amount of traffic. Although, you can also see that “seo guide” is a lot less competitive, so it might be much easier to rank for this keyword. Sometimes, high traffic comes with lots of competition, so it is better to choose keywords with less traffic, but are easier to rank for. OK, so now that we decided which keywords we’re going to aim for, let set our new page to reflect that. Pages on the internet are built of HTML, which is basically a set of tags that tell the browser how to show them. For example, a window title is written as <title>some title</title>. We can see how a page is built by right click>”view source” on it. So, if you are writing the code for the page, or have access to that, you can inspect the HTML. Otherwise, if you find that too complicated, you’re probably using some kind of software to build that HTML for you, like WordPress for example (blog software) or Weebly (site generator). With those tools, you might not have access for the actual HTML, but still you can change the elements of the page. 1. Page title (window title). So, make sure those pieces would include the targeted keywords. Also, might be good idea to also have the targeted keyword mentioned inside the page text a few times. Don’t overdo it, Google is not stupid. Just have it there. That is it, you’ve done most of the SEO work already. You’ve chosen the keywords to optimize and made sure they’re in the page. Good chances you can get a lot of benefit, just from that. Now we just need to do some off-page SEO. Google made it’s success from ranking pages for their value. They’re way of doing this is by scanning the entire internet and detecting links (the elements you press to get to another page). Those links are then counted as a vote from the linking page to the target page. The values are then summed up and each page gets a Page Rank. PageRank is then used by Google to determine which page should show up in the results. So, Google will use the PageRank and the relevancy of that page to the keyword searched and will determine the rankings for the keyword. So, what we need to do for off-page SEO is to build links to our page, or even to our home page (which will link to our new page directly or indirectly) and that will increase our PageRank. Now, that is the most difficult task these days. Google is very suspicious about each link and bad links might do more harm than good. So, we need to be careful about link building. What you don’t want to do, is give some cheap SEO the job of building you links. Links should come from relevant pages, so that means pages of websites within your niche and preferably your country/location. So, how do we do that? Well, you should build good content, or offer something people would want. You could find bloggers in your niche and offer them something in order to write about you. For example, if you have a cosmetics website, and you find a blogger for cosmetics in your area, why not offer them a free treatment and ask for a review. The way I measure a good backlink is look at it carefully. If I can’t see this link is not natural, it is a good link. No-follow attribute. Google introduced an attribute on each link that allows the website to say when a link should not be counted as a vote (for PageRank). So, if you have such links to your website, they are worthless for SEO. There are many tools to figure if there is a nofollow on a link, sheerseo has such tools too. So, be aware of this issue when you get a backlink. 1. Find the target keywords you want to have for it. 2. Build the content for those keywords. 3. Try to build some back-links to this page. If you do that on a regular basis, you will get a lot more traffic to your site, for very little effort.